Big success with small meetings – The world of work is changing, and Adina is staying ahead. 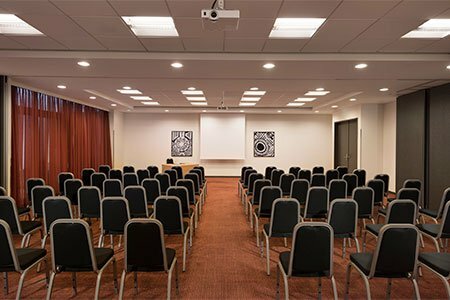 As more and more people demand flexibility in their working hours and places, Adina Apartment Hotels double up as perfect locations not only for work, but also with conferences, congresses and meetings with a capacity of up to 100 persons. Wherever you are in the hotel, as a guests or a seminar participant, you can count on reliable WiFi while moving between the apartments and the meeting room. All conference rooms are equipped with state of the art conference technology, which can be enhanced as desired, depending on customer requirements. In addition your personal meeting planner will support you during your stay, the kitchen team will provide you with a premium menu for lunch or dinner and the motivated hotel team will be glad to arrange leisure activities. 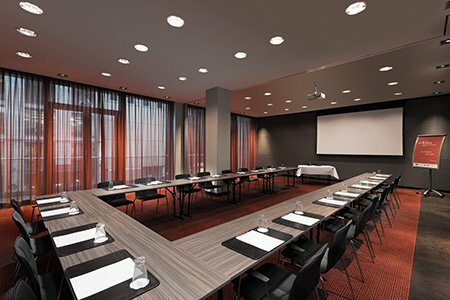 The conference rooms are equipped with cutting-edge standard conference technology which can be individually supplemented. Each conference room has plenty of natural daylight and partly leads out directly to the landscaped inner courtyard. 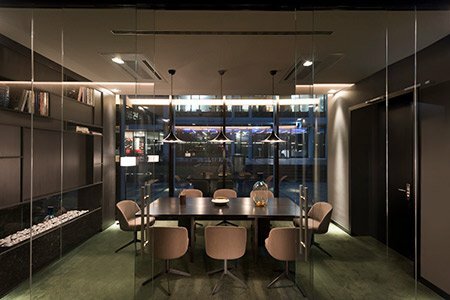 The Adina Apartment Hotel Berlin Mitte has three spacious and well-equipped event rooms available, between 63 and 136 sqm in size, for events and conferences. The conference rooms are equipped with modern conference technology which can be individually supplemented. 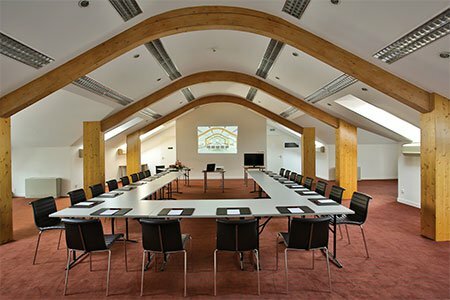 Each conference room has plenty of natural daylight and direct access to the landscaped inner courtyard. 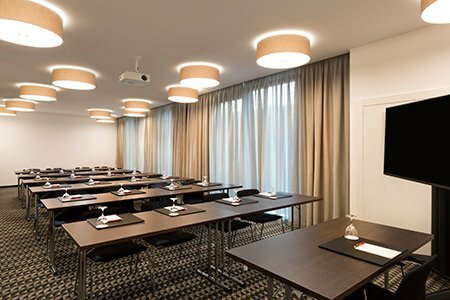 The Adina Apartment Hotel Budapest has four conference rooms available for events and festivities for up to 100 persons. Between 56 and 140 sqm in size, they can also be interconnected on request and then accommodate up to 140 persons. 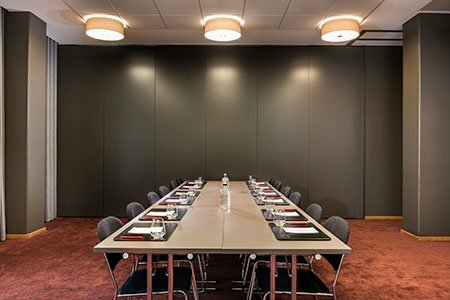 With two medium-sized conference rooms (100 and 110 sqm), Adina Copenhagen can fit up to 100 conference guests at a time, just enough to make it big without losing the attention to the details and the clients special requirements. Both conference rooms have direct daylight, standard AV equipment, as well as fun and engaging food from Storehouse, designed to break the ice between all participants. The Adina Apartment Hotel Frankfurt Westend has two rooms of 50 and 30 sqm in size available for all kinds of events and conferences. The rooms can either be used individually or interconnected, accommodating up to 100 persons. 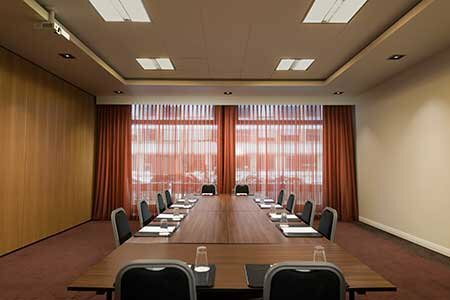 Both conference rooms are equipped with cutting-edge conference technology which can be supplemented as required, depending on customer requirements, and provide natural daylight. 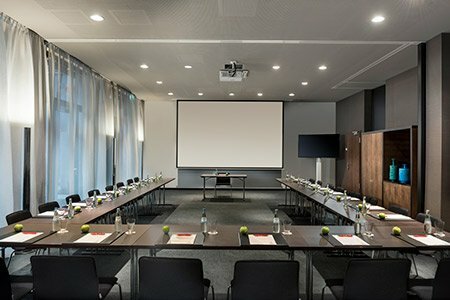 The Adina Apartment Hotel Frankfurt Neue Oper has three spacious event and conference rooms available of approximately 50 sqm which can either be used individually or interconnected, accommodating up to 100 persons. The Sky Suites, each 45 sqm big, could be used for private functions exclusively. The Adina Apartment Hotel Hamburg Michel has three spacious event rooms available, between 65 and 89 sqm in size, for events and conferences. They also have natural daylight as well as direct access to the landscaped interior courtyard. The spacious apartments which on request can be used for meetings for up to eight persons are extremely comfortable and provide a private atmosphere. 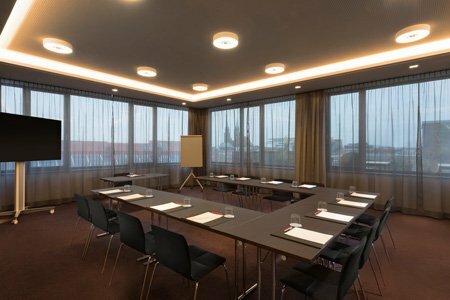 At the Adina Apartment Hotel Hamburg Speicherstadt, we provide you with everything you need to make your next conference a success. This includes our generously planned conference facilities and equipment for up to 80 guests. The Adina Team will meet your most creative requirements, including your catering for discerning palates, recommendations on extracurricular activities. 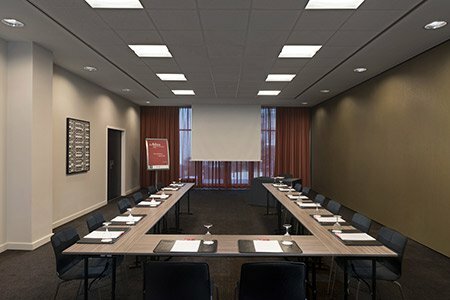 At Adina Apartment Hotel Leipzig, we provide you with everything you need to make your next conference a success. This includes our generously planned conference facilities and equipment for up to 100 guests. The Adina Team will meet your most creative requirements, including your catering for discerning palates, recommendations on extracurricular activities as well as assistance with ticket and transfer bookings. Available on its roof, the Adina Apartment Hotel Nuremberg has two glazed rooms for events and conferences which accommodate up to 100 persons. The connected rooftop terrace can be used as a lounge and chill-out area, and offers an unparalleled view over the Medieval city.